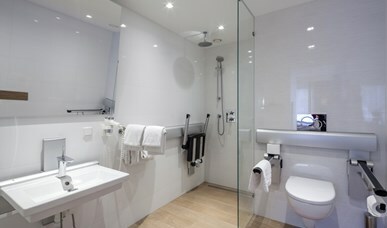 Nice luxury room with a bath, a shower, a toilet, a minibar, coffee and teafacilities. Prices are without €1.30 euro residency tax p.p.p.n. 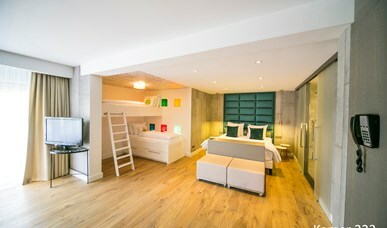 189 luxurious rooms en suites, with a spacious bathroom and terrace or balcony. Cycling or hiking in beautiful Drenthe, or a day of shopping in Assen or Groningen. Pure indulgence in the beautiful North. 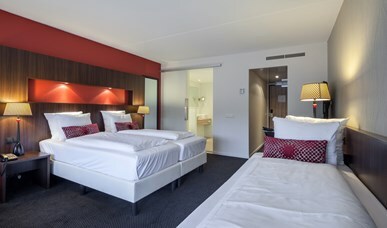 18 conference rooms, free parking space, free Wi-Fi. Your guests will lack nothing.